When I finished Cop To Corpse by Peter Lovesey, I thought to myself, It doesn’t get any better than this. I was wrong; it does. 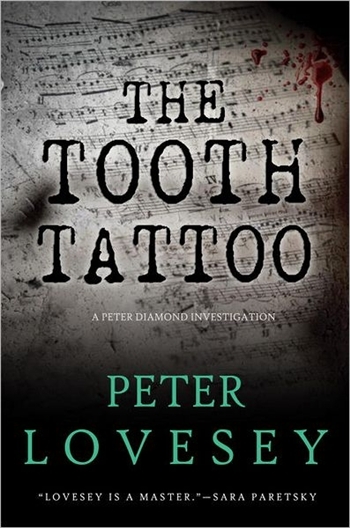 The Tooth Tattoo is the story of a highly regarded quartet of stringed instrument players. The sudden loss of their violist has for a time taken them out of the game. Now they want back in and are actively seeking a new violist. They’ve heard Mel Farran play, and they like what they’ve heard. They’re more and more certain that he’ll be a good fit for their small elite ensemble. They call themselves The Staccati, and Peter Lovesey lays bare the inner workings of this foursome in a way both fascinating and completely believable. He’d need to fit in more practice. In spite of the praise from the others, he knew Ivan was right. His intonation – accuracy of pitch – could be improved. With such latitude possible in their creation of sound, string players had a huge advantage over anyone else in an orchestra, yet there were phases, say in a long legato line with open strings, when the pitch should be suppressed. He’d noted a couple of passages in the Beethoven when he needed to adapt better to the violins. The pitch should be suppressed? I admit, I don’t entirely understand what’s being said here, but I do get the point about the unique capabilities of stringed instruments. You wouldn’t think that the lives of these intense and dedicated artists could intersect with a criminal investigation, but that’s exactly what happens. For a limited period, the Staccati take up residence at Bath Spa University. It’s an arrangement that benefits them, the university community, and local music lovers. 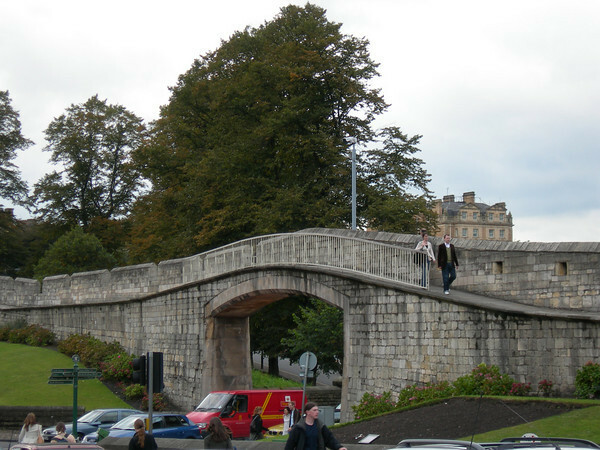 This last is not a cohort with which Peter Diamond, head of the Bath CID, would ordinarily be associated. But he comes to a cautious appreciation of the music itself and of those who bring it so exquisitely to life. “Beethoven, wasn’t it?” Diamond ventured. Anthony was supposed to get the idea that Diamond was a fellow lover of music. He didn’t show a glimmer of appreciation. Opus 59, Number 3,” Anthony said. Peter does in fact he does have a passion for certain works of art. 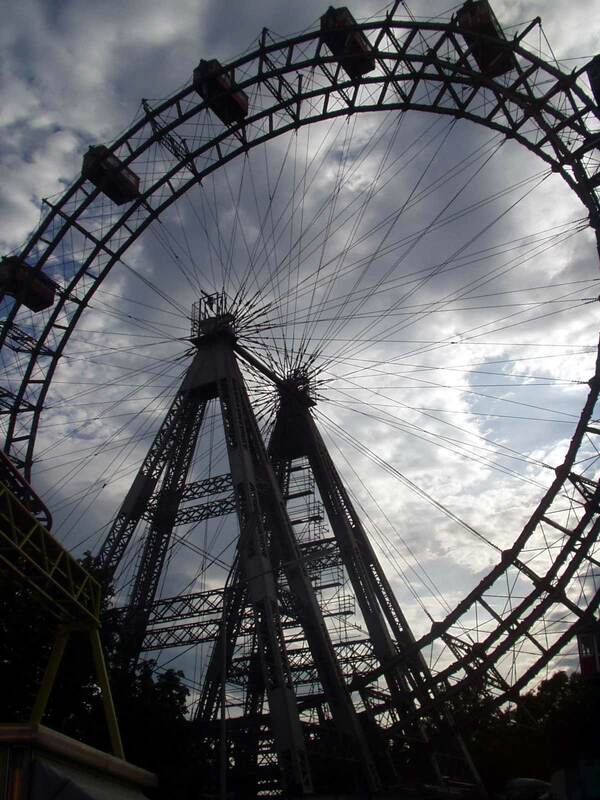 In fact, the only way his lady friend Paloma could get him to take a vacation in one of the capitals of continental Europe was by choosing Vienna, the setting of Peter’s favorite film, The Third Man. The Third Man is terrific. It’s hard to see how it could be anything but, with stars like Orson Welles, Joseph Cotten and Trevor Howard, and a screenplay by Graham Greene. Literate, entertaining, and wide-ranging, The Tooth Tattoo is a triumph, one of the best novels by one of the greatest procedural writers currently at work. A couple of weeks ago, a friend and former co-worker at the library made what I thought at the time a rather peculiar recommendation. Like me, Nancy is a crime fiction buff, and she knows my taste pretty well. She assured me that unlike the espionage novels for which John LeCarre is justly famous, A Murder of Quality, published in 1962, is actually a mystery, and a fairly traditional one at that. The events of the novel take place at Carne, an exclusive boys’ school on England’s South Coast. Now I just love crime fiction set in academia, so I decided to take Nancy up on her suggestion. And I’m very glad that I did. Smiley himself was one of those solitaries who seem to have come into the world fully educated at the age of eighteen. Obscurity was his nature, as well as his profession. The byways of espionage are not populated by the brash and colourful adventurers of fiction. A man who, like Smiley, has lived and worked for years among his country’s enemies learns only one prayer: that he may never, never be noticed. Assimilation is his highest aim, he learns to love the crowds who pass him in the street without a glance; he clings to them for his anonymity and his safety. His fear makes him servile – he could embrace the shoppers who jostle him in their impatience and force him from the pavement. He could adore the officials, the police, the bus conductors, for the terse indifference of their attitudes. A stringent critic of his own motives, he had discovered after long observation that he tended to be less a creature of intellect than his tastes and habits might suggest; once in the war he had been described by his superiors as possessing the cunning of Satan and the conscience of a virgin, which seemed to him not wholly unjust. 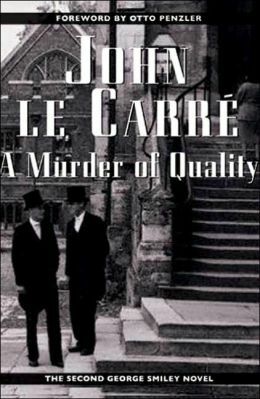 A Murder of Quality is the second novel to feature George Smiley. 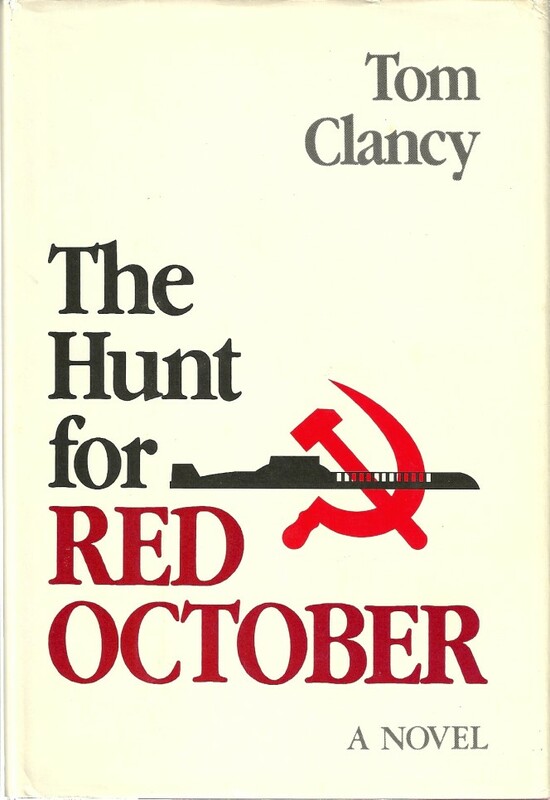 (The first is Call for the Dead; these are also LeCarre’s first published works of fiction, respectively.) There are a number of passages in this second outing where LeCarre strives to illuminate the character and personality of Smiley. Here, he is seen through the eyes of an old friend. Miss Brimley, editor of a journal called the Christian Voice. She is anxious about Stella Rode, one of the journal’s contributors and the wife of teacher at Carne. Miss Brimley asks Smiley to have a look at a letter recently sent to her by Mrs. Rode. Its purport seems ominous. Watching him, Miss Brimley wondered what impression he made on those who did not know him well. She used to think of him as the most forgettable man she had ever met; short and plump, with heavy spectacles and thinning hair, he was at first sight the very prototype of an unsuccessful middle-aged bachelor in a sedentary occupation. Call for the Dead opens with a description of Smiley that’s if anything, even less complimentary than Miss Brimley’s: “Short, fat, and of a quiet disposition, he appeared to spend a lot of money on really bad clothes, which hung about his squat frame like skin on a shrunken toad.” That’s pretty blunt, I’d say – even to the point of being brutal. One of the strangest aspects of George Smiley’s back story concerns his virtually inexplicable marriage to Lady Ann Sercomb, a lofty, high born beauty who stayed with him for two years before running away with a Cuban racing car driver. I’m getting ready to read Call for the Dead, and I confess I’m curious as to whether I’ll be further enlightened as to how this odd and patently doomed pairing came about. The village of Pylle lies to the south of the North Fields, upon a high spur which rises steeply from the damp pastures of the Carne valley. It consists of a handful of stone cottages and a small inn where you may drink beer in the landlord’s parlour. Seen from Carne playing fields, the village could easily be mistaken for an outcrop of rock upon a tor, for the hill on which it stands appears conical from the northern side. Local historians claim that Pylle is the oldest settlement in Dorset, that its name is Anglo-Saxon for harbour, and that it served the Romans as a port when all the lowlands around were covered by the sea. They will tell you, too, that King Arthur rested there after seven months at sea, and paid homage to Saint Andrew, the patron saint of sailors, on the site of Pylle Church, where he burned a candle for each month he had spent afloat; and that in the church, built to commemorate his visit and standing to this day lonely and untended on the hillside, there is a bronzee coin as witness to his visit – the very one King Arthur gave to the verger before he set sail again for the Isle of Avalon. I love the way LeCarre takes you back to ancient times, and even further back, to myth and legend. This is something that British writers are skilled at doing. In On Chesil Beach, Ian McEwan mentions in an almost casual aside “the pretty village of Ewelme, where Chaucer’s granddaughter was interred.” A single phrase catapults you from the mid-twentieth century back to the Middle Ages! I was fascinated by the insight into George Smiley’s character, but even aside from that factor, I found A Murder of Quality to be an absorbing read and a well plotted mystery. The seeds of the later LeCarre – the cynicism about people’s true motives, the characters’ bitterness at how their lives have turned out, the incisive and startlingly lyrical writing – are present in this novel. 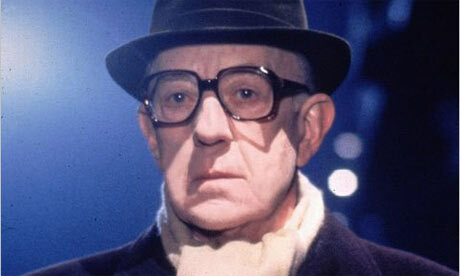 George Smiley is the main protagonist in four novels besides Call for the Dead and A Murder of Quality; in addition, he makes cameo appearances in several others. 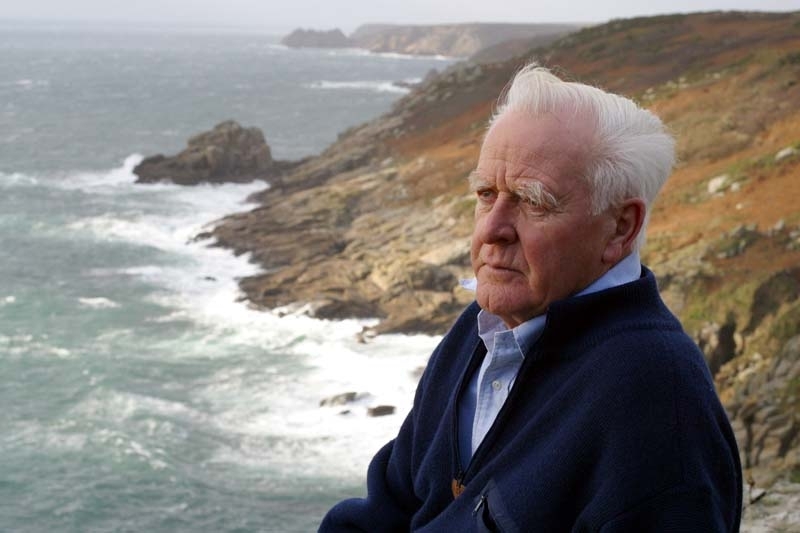 A complete list of LeCarre’s works can be found – where else? – on Stop! You’re Killing Me. Someone in our group mentioned that a friend of hers had recently expressed surprised that we had never discussed a novel by Tana French. 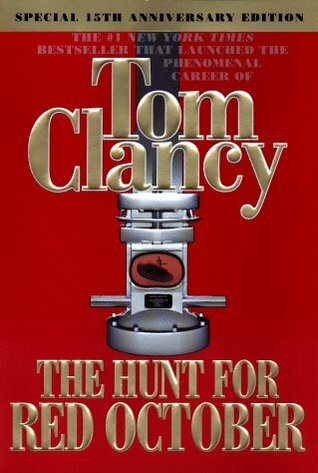 Tuesday night we remedied the omission by tackling Broken Harbor, this author’s latest magnum opus. 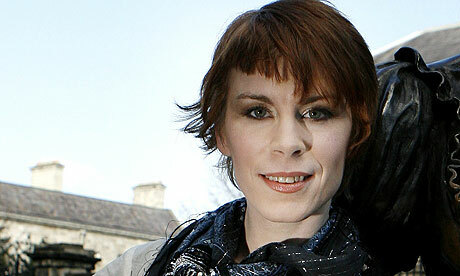 Tana French has won several awards and even more nominations since she burst onto the crime fiction scene in 2007 with Into the Woods. 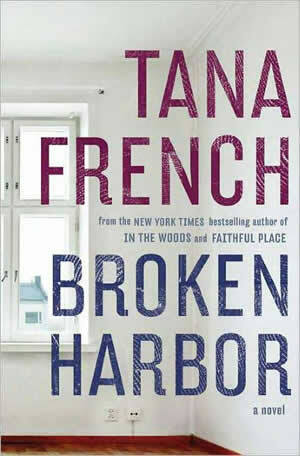 I’ve not read that novel; in fact, Broken Harbor is the first work by Tana French that I’ve read all the way through (although I almost didn’t – get all the way through, I mean). I had dipped my toe into both The Likeness and Faithful Place but was not enthralled by either. Rather, I was so put off by their length that I decided to bail early. 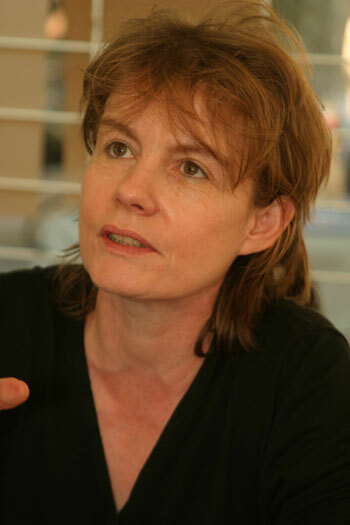 I could tell French was a gifted writer, but I simply was not drawn in by her narratives. 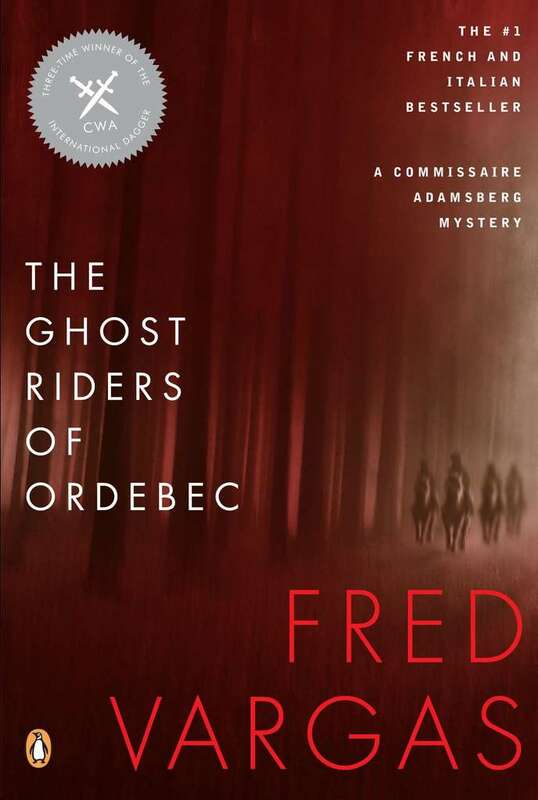 So I looked upon this Usual Suspects choice as a chance to stick with one of French’s titles and see if I could discern the magic that was clearly present for her many devoted readers, some of whom are in our group. Susan then solicited the impressions of group members, and I confess, I couldn’t – and didn’t – wait to get my two cents in. When I took up Broken Harbor, I was hoping for an epiphany, a revelation as to why French is so widely praised. As you’ve probably already guessed, that did not happen. Instead, I found myself exasperated by this novel for a whole host of reasons. First, let me stipulate that I began with the audiobook. The reader, Stephen Hogan, was excellent, putting in the right amount of Irish lilt without going over the top. And I was genuinely engaged, at least, at the beginning. The novel begins with the description of a horrific crime: the Spains, Patrick, Jenny, and their two children, have been savagely attacked in their home. By the time the police arrive, summoned by Jenny’s hysterical sister Fiona, all are deceased except for Jenny, who is clinging to life by a very slender thread. By this time, we’ve met the detectives in charge of the investigation: Mick “Scorcher” Kennedy and Richie Curran. 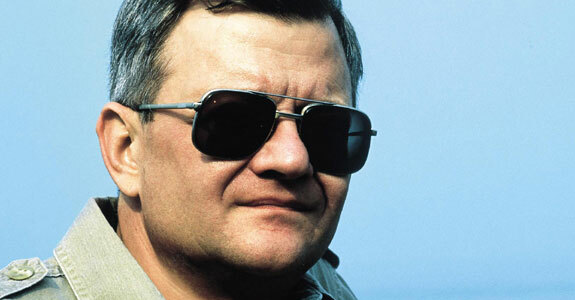 “Scorcher” is a hotshot on the Dublin Murder Squad who boasts a high solve rate. Richie is young and new, but Mick decides to partner with him anyway on this high profile case. He believes that Richie has potential, and that he, Mick, can help him to realize it. It was definitely time for me to stop ranting and let others have their say. Someone suggested that Mick was a very insecure person who compensated for his feelings of inadequacy by adopting a kind of swaggering hubris as part of his public persona. When he was still a child (or possibly a teenager, I don’t exactly recall), his mother committed suicide. This traumatic event happened while the family were on a seaside holiday – Mick, his parents, and his sisters Dina and Geri. While Geri and Mick grew to adulthood with their respective psyches more or less intact, Dina was not so lucky. When we first encounter her in Broken Harbor, she is a woman with fairly severe psychiatric issues, a diagnosed schizophrenic with occasional psychotic manifestations. When she descends on Mick, who’s in the midst of the high stakes, high pressure investigation into the attack on the Spains, she is unrelenting – completely focused on her own needs, alternately wheedling and raging at her brother. Pat and Jenny have recently moved into a new development called Ocean View. It’s far enough from Dublin that they can’t reach friends and family easily. Meanwhile the amenities promised by the developers fail to materialize; homes languish in a partially completed state; neighbors are few and far between and not particularly disposed to be neighborly. And why should they be? They have no common history, no long established ‘local’ where they can go any time and be sure to encounter a friendly face or two. All of this might have been tolerable if Pat hadn’t lost his job. But he did. And as time drags on and he remains unemployed, it seems that he’s in danger of losing more – much more…. We all agreed that French made effective use of this backdrop. It’s a poignant scenario. Ireland seemed finally to have become a place that could provide jobs and quality of life for its young people. Perhaps they could stop the perpetual outward migration that had characterized the country for so much of its history. But it was not to be, after all. And in a way, what happens to the Spains is a microcosm of what’s happening in the whole of Ireland. Jenny and Pat bought into the dream, but it proved to be an illusion made up of empty promises that would never be fulfilled. At first glance, Ocean View looked pretty tasty: big detached houses that gave you something substantial for your money, trim strips of green, quaint signposts pointing you towards LITTLE GEMS CHILDCARE and DIAMONDCUT LEISURE CENTER. Second glance, the grass needed weeding and there were gaps in the footpaths. Third glance, something was wrong. This was one of the best book discussions I’ve ever attended. The Suspects made many illuminating observations of various aspects of the novel. In my initial litany of complaints, I said that the interviews of witnesses and suspects went on way too long and were tedious and repetitious. In my view, they slowed the plot down to a crawl. (By now, Dear Reader of this blog, you know that I am certainly NOT a person with strong opinions!) But Frances felt that these dialog-intensive passages served to open up the characters’ respective psyches – to allow the reader to, as it were, peer into their very souls. Marge, for her part, felt that for a police procedural, some of the procedures followed by the officers seemed faulty. She was thinking in particular of the initial scenes inside the Spain residence. I think I agree with her, but I feel as though I read – or rather, listened to – the beginning of the book a long time ago and so cannot be more specific. We all agreed that there’s some powerful writing in Broken Harbor. I just wish it had been in the service of a more tightly controlled narrative. The hardback clocks in at 450 pages, and I think even those who liked the book better than I did felt that it was too long. 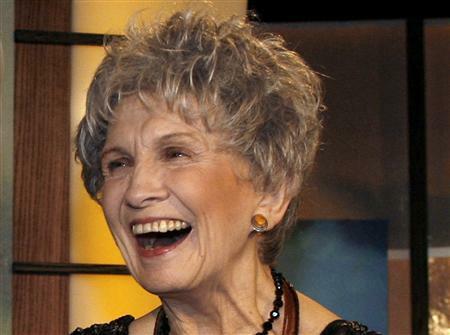 Someone voiced the opinion Tuesday night that some authors win too many awards too early in their writing careers. This put me in mind of Louise Penny. I loved her first novel, Still Life, and I thought Bury Your Dead was simply terrific. Trick of the Light I liked a bit less. And A Beautiful Mystery, which I expected to love, I found so inert and turgid that half way through, I had to give up. Like Tana French, Louse Penny is the darling of reviewers. And like Tana French, she writes beautifully. I have every intention of reading her latest Inspector Gamache novel, How the Light Gets In; it has received such glowing notices. I trust I will not be disappointed. Will I read another novel by Tana French? Possibly – but not definitely. A final word about our leader, Susan. This was a long and involved novel. In fact, at the start of our meeting, Susan remarked that she hadn’t remembered it being as long as it was. Well, there’s nothing like having to lead a discussion to remind you of the length and complexity of your chosen novel. I experienced the same sinking sensation when I first set about preparing for the Cop To Corpse discussion that I led in July. We had a good laugh over Susan’s wry observation, but the fact is, she did an outstanding job, demonstrating impressive mastery of this complex material. In which Reginald Webster acts upon a whim and by this doing causes an interesting development, and the courteous reader is privy to another demon in George Hennessy’s life, but also to the joys therein. A superscription in this style appears at the start of each chapter of a Hennessy and Yellich novel. The reader may be ‘courteous.’ ‘gracious.’ or ‘dear’; the plot developments hinted at are expounded on and clarified as the chapter unfolds. In Gift Wrapped, a series of cryptic postcards lead police to the unhallowed site of a burial. The body unearthed there belongs to one who has been dead for quite some time. Who is this person? And how did he/she end up beneath the soil at the edge of a field? From this strange discovery, many mysteries commence to flow…. Do real people – never mind real police officers – actually express themselves in this somewhat flowery manner? Well, probably not, at least not any more, although I confess I rather wish they did! Peter Turnbull is good at concocting ingenious plots, and in my opinion, this is one of the best that he’s ever come up with. As the story moves forward, all sorts of twists and turns materialize, evoking those “Aha!” moments that are meat and drink to crime fiction fans. 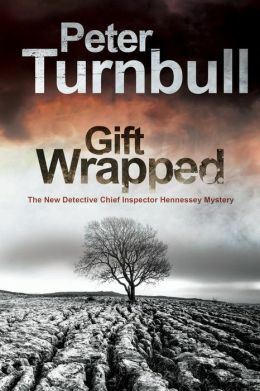 I certainly recommend Gift Wrapped – in fact, I recommend any and all the books in this series. 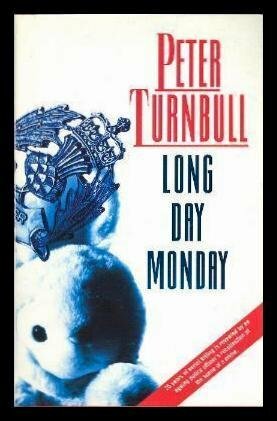 And you can jump in at any point, because in each novel, Turnbull briefly recapitulates the history of the main and supporting characters. One reviewer complained of this practice, calling it needlessly repetitious. I like it very much. You get a sense that the officers’ personal lives exist in a kind of eternal present, while they do battle with the ever changing face of evil in the world outside. Here’s an example of Turnbull’s method. In this scene, George Hennessey is standing in his back garden of his home, seeming to converse with someone. But in fact, he is completely alone. What is going on? 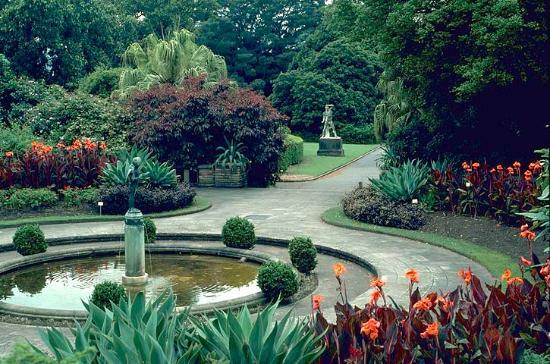 The gentle and most gracious reader will, however, be saddened to learn that our hero speaking to, apparently, no one at all is not the symptom of harmless eccentricity in a a man in his late middle years; rather he is fully sane and his practice of telling the rear garden of his day is the consequence of a dreadful tragedy and the second significant loss in his life. We are apprised of this tragedy anew in each of the novels in the series. As always, we can thank Stop! You’re Killing Me for a comprehensive list of the works of Peter Turnbull. In addition to Gift Wrapped, I’ve reviewed No Stone Unturned, Chill Factor, Once a Biker, Turning Point, Deliver Us From Evil, and The Altered Case in this space. 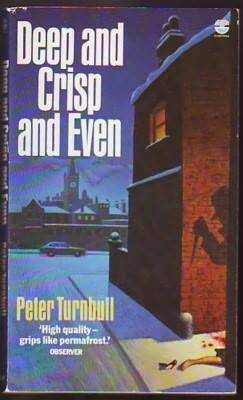 The P Division novels, an earlier series by Turnbull, are set in Glasgow, where the author lived from 1978 to 1995, at which time he decided to become a full time writer. I read several of them before getting into the Hennessey and Yellich series, and if memory serves, I greatly enjoyed them. Their titles and publication dates can be found at the Stop! You’re Killing Me link above. If you’d like a taste of Turnbull’s writing, read “The Man Who Took His Hat Off to the Driver of the Train.” This nicely crafted little tale won the short story Edgar Award for 2012. 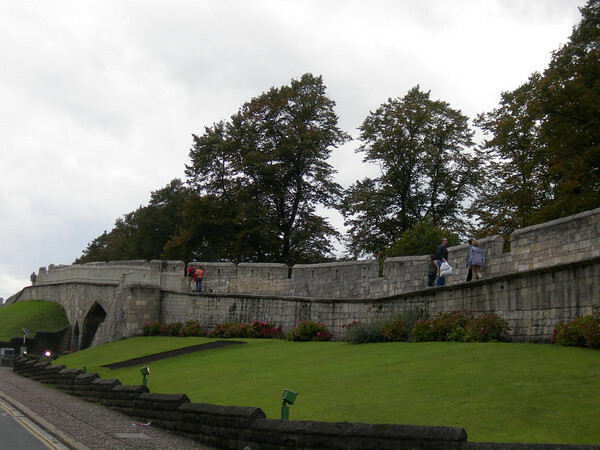 Its mention of ‘walking the walls’ in York brought back happy memories of my visit to that magical city in 2005. Among other things, this passage reminded me just why, all those years ago, I found my graduate school course in Elizabethan drama excluding Shakespeare so mind-boggling…. So, what’s this impromptu bit of literary criticism doing in the middle of a murder mystery? You have to read the novel to find out, and further, to get a handle on one of the strangest and most volatile working relationships in crime fiction. 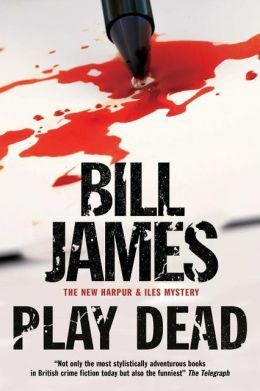 I was delighted to find this (relatively recent) in depth interview with Bill James at the Detectives Beyond Borders site. And I am in complete agreement with Alex Grant’s assessment, made in 2002, of James’s place in the pantheon of crime writers. In Play Dead, Harpur and Iles are tasked with looking into possible corruption in another police force. 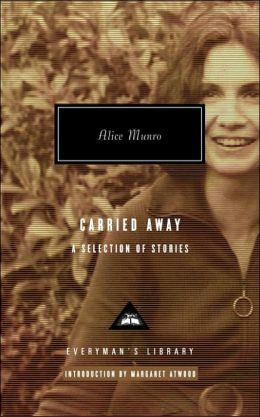 The first phase of their investigation is described in the previous novel, Undercover. (It so happens that Iles has a particular animus against undercover operations. He has good reason for feeling that way.) In point of fact, over the course of this series, a long story arc unfolds. You don’t necessarily have to start reading at the very beginning, but the farther back you go, the more enjoyment you’ll get from the series. In Addition to Undercover, I’ve reviewed Girls, Pix, In the Absence of Iles, and Hotbed in this space. In addition, I wrote a retrospective of the Harpur & Iles novels in 2007. 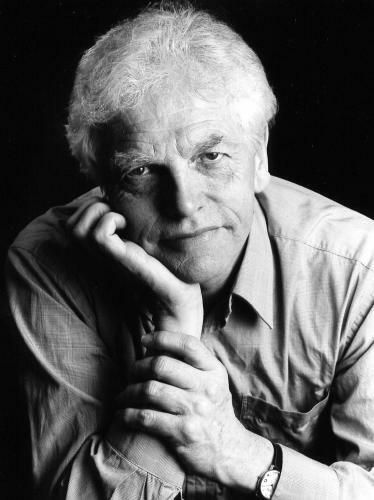 Coming soon: Part Two: Peter Turnbull.